Tara Noland is the founding Executive Director for GreenLight Cincinnati, a non-profit that works to identify and solve critical, local needs. Having earned a B.A., B.S.W., and M.S.W. from the University of Kentucky, she has spent her career in the non-profit sector. She was a member of C-Change, Class 4 and WeLead, Class 10. 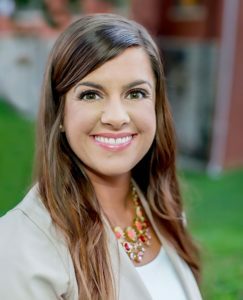 She was named one of Cincinnati’s Forty Under 40 by the Business Courier and a YWCA Rising Star in 2012. She is also a member of the Source Cincinnati National Connectors Group, a group that works to inform our region’s national storytelling efforts. Tara enjoys volunteering in the community, currently serving on the local advisory boards for the Center for Employment Opportunities and the Family Independence Initiative. She served as a co-chair for a 2015 MLB All Star Summer committee, president of the C-Change Alumni Society and member of the Cincinnati USA Regional Chamber’s Senior Strategic Advisory Team for Leadership Programs. 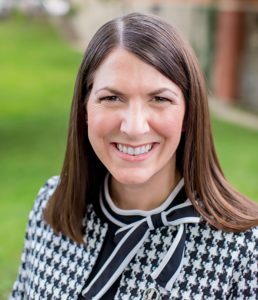 A member of the Junior League since 2009, Tara has held positions as the Vice President of Training and Development, Vice-Chair and Chair of the Leadership Development Committee, and member of the Nominating Committee. She received the JLC Rising Star award in 2012. Tara lives in Anderson with her husband, Zac, and daughters, Elliot and Norah. 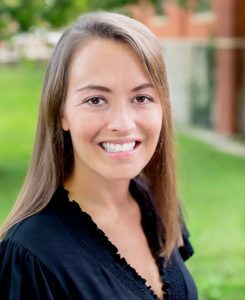 Meredith is a Senior Director of Program Management at Empower, a local agency specializing in a variety of creative media advertising and marketing practices. She received her B.A. in Public Relations with a concentration in Marketing from Auburn University in 2006. 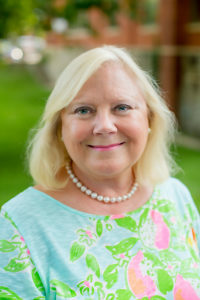 Prior to serving as President-Elect, she was a member of the Nominating Committee, Co-Chair of the Spring Fundraiser CinSation, Chair of the Cookbook Committee, in which she and the committee were responsible for the creation of the JLC’s fall fundraiser, Tour of Kitchens, VP of Communications and VP of Membership. Always up for life’s adventures, she spent time as a proud transfer member of the Junior League of Norfolk-Virginia Beach (VA) where she served as Chair of the Research & Development Committee and along with the committee cultivated and successfully launched the JLNVB’s new fundraiser, Brunched. She was elected to the Board of Directors as VP of Fund Development before re-locating back to Cincinnati. A fourth-generation Junior Leaguer, she has been active in the Junior League since 2008. She has been recognized with the Rising Star Award for her work and dedication to the JLC. Born and raised in Atlanta, Georgia, she now resides in Over-the-Rhine. Kate Fortlage began at Formica in April 2014 and is a Senior Manager in the Marketing Department with proven abilities in strategic planning, managing projects and direct reports, driving top-line and bottom-line sales growth, and influencing cross functional managers. Prior to Formica, she was a Brand Manager for KAO USA, where she worked for over 8 years. She received her B.A. from Bowling Green State University in 1999 and her MBA from the University of Dayton in 2005. Born in Toledo, Kate relocated to Cincinnati after her MBA to start her marketing career at KAO. Currently, she manages the residential segment at Formica and is responsible for developing and leading brand strategy, innovation, and marketing plans. Kate joined the Junior League of Dayton in 2000 and transferred to the JLC in 2006. She has served on every JLC Council and has been a leader on all Councils but one (New Member Vice Chair and Chair, Social Vice Chair and Chair, Nominating Committee Vice Chair and Chair). Kate also served on the Board of Directors as Special Projects and led an Ad Hoc Committee in creating the JLC strategic plan. She also led the points system initiative, and served in an Out-of-League Placement as a Steering Committee Chair for the All-Star Game. Kristian is a Finance Manager at Ethicon, Inc. (part of the Johnson & Johnson family of companies). She received her B.S. in Business Administration with a concentration in Finance from Miami University and her M.B.A. from Xavier University with a concentration in Marketing. 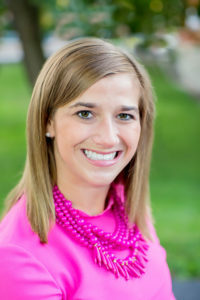 Since joining the Junior League of Cincinnati in 2010, Kristian has served on the 5K, Nominating, and Membership Satisfactions Committees, as well as Chaired the Transfers Committee, and now serves on the Board as the Treasurer. In addition to her involvement with the JLC, she is involved with Cincinnati Children’s Hospital Heart Institute Patient-Family Advisory Council. Kristian and her husband, Andy, reside in Hyde Park with their three children, Evie, Andrew and Nick. Having received both her Bachelor of Arts and Master of Education degrees from the University of Cincinnati, Vicki is a proud Bearcat through and through. Her love for working in higher education and commitment to student development is evident from her tenure as she served in the Office of Student Activities and Leadership Development at her Alma Mater, for over ten years. During that time she also taught classes as an Adjunct Instructor in the Center for Access and Transition and the College of Allied Health Sciences. Additionally, out of a passion for inspiring others to fitness, Vicki became certified to teach group fitness classes, was a personal trainer and designed and coordinated a revenue-generating and comprehensive fitness, nutrition, wellness, and social program for brides-to- be. 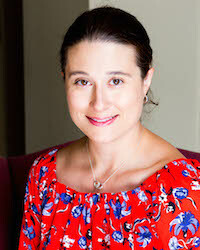 Currently, Vicki works as a freelance event production consultant. Vicki joined the Junior League of Cincinnati in 2008. 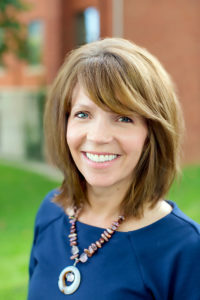 Prior to her appointment as President-Elect, Vicki served as the Vice President of Community Impact on the Board of Directors, Nominating Committee Vice Chair and Chair, Kids in the Kitchen Co-Vice Chair and Co-Chair, and as an engaged member of the Strategic Planning Ad Hoc Committee, Infrastructure Ad Hoc Committee, and RefugeeConnect Committee. Vicki is the proud recipient of the 2010 JLC Jeanne Boyce Morrison President’s Award. 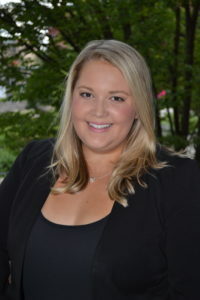 In addition to her volunteer work for the JLC, Vicki also serves on the Duke Energy Children’s Museum Advisory Board, the Cincinnati Ballet Dancer Sponsorship Committee, and she is a Fall 2010 Graduate of the United Way of Cincinnati Board Orientation and Leadership Development (BOLD) program. Vicki uses the volunteer management skills she honed in the JLC out in the community working on large-scale community events such as the Cincinnati Parks Foundation Hats Off Luncheon, Cincinnati Community Organizing Committee for the MLB All-Star Summer 2015, and Dress for Success Cincinnati Fashion Show. Through serving in these professional and volunteer roles, Vicki has developed her skills in managing programs and large-scale events, developing strategic plans to increase efficiency, training and coaching leaders, managing large numbers of volunteers, creating and evaluating assessment tools, and managing large budgets. She is a proud lifelong resident of Cincinnati and truly loves this great city of ours. Vicki and her husband, Allan, reside in Madeira with their two children. 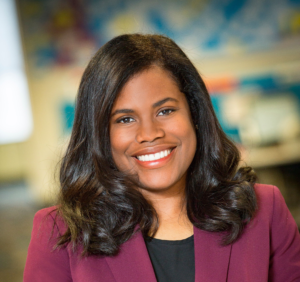 Tara J. Mosley currently works for the Kroger Co. where she heads merchandising for the small formats division, which focuses on planning and launching new and emerging store formats nationwide. Prior to joining Kroger, Tara held roles in strategic planning and brand marketing at Spectrum Brands and Procter & Gamble. Tara joined JLC in 2012. She served as a committee member for two years on the Member, Outreach & Events committee before serving as the Vice Chair and Chair of New Members. She is currently the Chair of Nominating and sits on the Diversity & Inclusion committee. In addition to her committee placements, Tara has had the opportunity to serve and volunteer for many of our signature fundraisers and projects including: Kids in the Kitchen, Tour of Kitchens, Grin Up, and RefugeeConnect. Tara is very involved in her community and works with several organizations here in Cincinnati. In addition to her work with JLC, she serves as a speaker, mentor, and job coach with Dress for Success Cincinnati’s Professional Women’s Group, is a Portaluca (the retail branch of Dress for Success) board member, a consultant for Public Allies pilot mentoring program, and a college mentor with Cincinnati Youth Collaborative. Alison Bushman joined the JLC in 2009. She served for three years as a New Member Advisor, and as a member of the Nominating and Membership Outreach & Events Committees. While serving as the Chair of a new Membership Recruitment Committee, she also stepped in a completed a term as Vice President of Membership. Alison has her undergraduate degree from West Virginia Wesleyan College. She currently works as the President & CEO of Bake Me Home, a non-profit organization she founded in 2008 with her twin daughters. 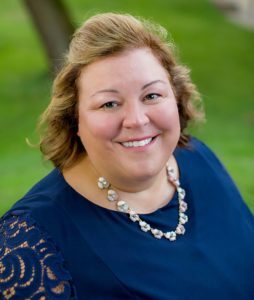 In addition, she serves on the Advisory Board of the Cincinnati History Museum, and is the Vice President of the Corporation Board of the Beta Sigma Chapter of Alpha Xi Delta. Alison is a Board Member Emeritus of Beech Acres Parenting Center and the Duke Energy Children’s Museum. She is a native of Washington, DC, and relocated to Cincinnati in 1995. Alison, and her husband, Lee, live in Anderson with their teenage daughters, Amy and Emma. Judy Schneider Dalambakis has a Bachelor of Arts in Communication from the University of Cincinnati. Her past work experience includes: Associate Director of Admissions at the University of Cincinnati, Director of Community Relations for Joseph Beth Booksellers, Columnist for the Cincinnati Post and a Columnist for Express Cincinnati. 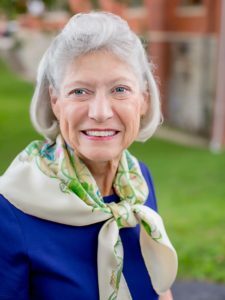 Judy served as President for the Junior League of Cincinnati, President of the Cincinnati Parks Foundation, Chair of the Friends of the Cincinnati Art Museum and President of BRAVO of the Cincinnati Ballet. She has served on numerous boards including the Alzheimer’s Association, Playhouse in the Park, Association of Volunteers for Children’s Convalescent Hospital, Friends of the Art Museum, UC Alumni Board of Governors, Civic Garden Center, Junior League of Cincinnati, Women Helping Women, Impact 100, and currently serves on the UC Bicentennial Commission, the Christ Hospital Foundation, and the Cincinnati Ballet Board as the co-chair of Etoile. Judy has chaired numerous fundraisers raising thousands of dollars for nonprofits including Cincinnati Zoo’s Zoofair, Cincinnati Art Museum, Playhouse in the Park, Cincinnati Parks Foundation, Junior League and the Alzheimer’s Association. She has been recognized as a 2006 Cincinnati Enquirer Woman of the Year, A Girl Scout Woman of Distinction, the University of Cincinnati’s Alumni Distinguished Service Award recipient, received the Junior League’s President’s Award and been honored as a UC Communication Alumni Champion. Mary Ivers started her business career as an entrepreneur, co-founding an INC 500 software company, Software Clearing House. As this company grew over 15 years, Mary learned how to expand an organization on a tight budget and also worked with many of the internal systems for managing clients, databases, mailing campaigns, and websites – all skills that would later prove useful when managing a thriving nonprofit. In 1999 Mary started an affiliate of Dress for Success in Cincinnati. Mary also started an Earned Income Venture, called the 4th Street Boutique, a thrift store, to sell excess clothing to generate proceeds for the support of the Dress for Success mission. 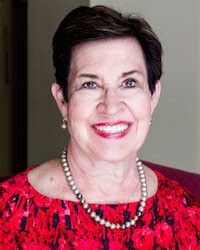 Mary retired from Dress for Success Cincinnati in 2012 and continues to serve on the Board of Directors. 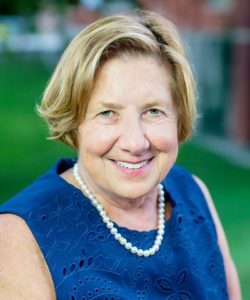 Mary is an alum and a trustee of Mount St. Joseph University and has been a Commencement speaker and awarded an Honorary Doctorate Degree. She is a Cincinnati Enquirer Women of the Year, a Great Rivers Girl Scout Council Woman of Distinction, and an Athena Award Finalist. Mary is also member of Leadership Cincinnati Class 12 and Leadership Northern Kentucky. However, Mary’s greatest accomplishment is being a mother of four and the grandmother of seven. Megan Stacey is a Cincinnati native with a passion for giving back to the community. She graduated from Miami University in 2005 and earned her master’s degree from Xavier. Megan helps families buy and sell homes as a Realtor with Keller Williams Advisors. She resides in Mt. Lookout with her husband (Drew), daughter (Emory), son (Ford) and two dogs (Murphy & Briggs). When not working or spending time with her family, Megan enjoys several hobbies including her fashion blog, Polka Dots & Pleats. After joining the JLC in 2009, Megan has served in various leadership roles including VP Membership, New Member Advisor, Chair of Membership Outreach & Events, and Chair of Major Gifts. She has also served on Ad Hoc Committees, including New Member Curriculum (from her years as a teacher and assistant principal) and Points & Obligations. Chelsea is a strategic communications professional from Cincinnati who works at creative agency Barefoot Proximity as a Senior Strategic Planner, building B2B and B2C strategies for Fortune 500 companies. She has a strong passion for understanding people, cultures, and languages and received her Bachelor’s degree in Spanish and Chinese from Tulane University. In addition to her role in the JLC, she gives back to Cincinnati serving as the Philanthropy Advisor to the University of Cincinnati’s Pi Beta Phi chapter. She also served as a member of the Mid-South Collegiate Advisory Team and Collegiate Advisor to the Louisiana State Council for the American Cancer Society’s Relay for Life program while living in New Orleans. Prior to her role as Vice President of Communications, Chelsea served as Perspectives Vice Chair and Chair and received the Rising Star Award in 2017. Chelsea also enjoys traveling, gardening, reading, singing, and anything crafty. A native Cincinnatian, Chelsea is a third-generation member of the Junior League of Cincinnati and currently resides in Oakley with her Japanese Chin pup, Phoebe. Gina Germana works professionally as a Senior Consultant at Landrum and Brown, a global leader in airport and aviation planning. She specializes in aviation forecasting and financial planning. She received her B.A. of Business Administration from the University of Cincinnati in 2010 with a concentration in finance and international business. Gina joined the Junior League of Cincinnati in 2012 and has made a considerable impact within its projects over the past five years. Prior to serving as the VP of Community Impact, she was a Chair of the GrinUp! Committee, Vice Chair and Chair of CandO Committee, as well as a Pediatric Oral Health Committee member. Gina also served on Board Bank. Gina was born and raised in Parma, Ohio and now resides in Sycamore Township. Kei works at Cincinnati Bell as the Senior Director of Investor Relations, where she develops and communicates a consistent applied investment message to the investment community on behalf of the company. Prior to working at Cincinnati Bell, she held several lead positions in Accounting, Credit, and Operations and worked for public companies such as DuPont, Lexmark, and Lockheed Martin. Kei is also a certified Six Sigma Green Belt so she appreciates process implementation and improvement. Often labeled as a Cincinnati transplant, Kei was born and raised in Baltimore, Maryland. Outside of spending time with family and friends, she enjoys cooking and being a part of professional, community, and social networks. She has a passion for empowering women and helping children. Kei originally joined the Junior League of Lexington as a Provisional Member in September 2010 where she served as the Assistant Treasurer, then Treasurer. She transferred her membership to Cincinnati in summer 2014, and has enjoyed her experiences on the CanDO and Transfer committees. The friendships she has made in the Junior League have nurtured her spirit and helped her transition to a new city seamlessly. When she thinks of this organization, accessibility comes to mind, as “all things leadership” are available to anyone who wants to learn, grow, and help the community. In addition to serving as the VP of Finance for a 2-year term, Kei sits on the Board of Women Helping Women–where she is active on the development committee–and tutors Taft IT High School students on a weekly basis during the school year. Currently, Kei resides in Anderson Township, OH with her husband of 11 years, Shannon, and 2.5 year old daughter, Troi Sinclaire. 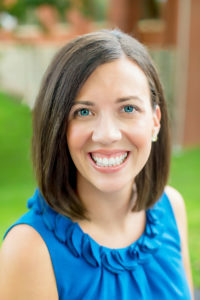 Katie’s passions for for fundraising, connecting and entertaining all come together in her current role as the Junior League of Cincinnati’s Vice President of Fund Development. Upon joining the JLC in 2009, Katie kicked off her Junior League career by serving as a New Member on the 90th Anniversary Committee because she wanted to get involved with event planning as soon as possible. She then went on to be Vice Chair and Chair for CinSation, plan the (now retired) Fall 5K, Chair Tour of Kitchens, serve as Historian, Chair the Royal Bouquet Fashion Show fundraiser and is currently serving her second year as Vice President to Fund Development. Following in the footsteps of her mother, Sustainer Carrie Hayden, Katie applies the skills and knowledge acquired in the League to other community service organizations. She owns her own business (Kathryn Hayden Photography) and generously gives back in the form of sponsorships and event photography to the JLC and other organizations in the community. Prior to building her own business, she was the Director of Events at Prolanthrophy, where she managed events and programs for seventeen foundations for professional athletes across the country. Additionally, she continues to dedicate her free time as a volunteer for various community non-profits, including, but not limited to 4C for Children, Cincinnati Women’s Committee, Cystic Fibrosis Foundation, American Heart Association, Big Brothers Big Sisters and Cincinnati Museum Center. Her next big project is the public launch for the Cincinnati Cancer Center’s campaign for an NCI Designation. Kelly Barber is a Primary Researcher at 84.51°, a division of the Kroger Company. 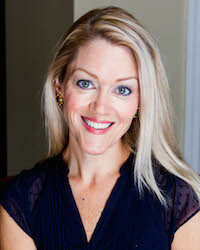 Her career has focused around marketing optimization and consumer insights work. 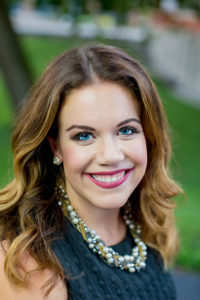 A member of the Junior League since 2013, she most recently served as Co-Chair of Leadership Development before taking on the role of VP of Membership. Kelly also served on the board of the Kennedy Heights Arts Center from 2014-2018. She earned her MBA at Xavier University in 2008 and her bachelors in Art History at the University of Cincinnati in 2005. She resides in Pleasant Ridge, with her husband, Tony, and their two dogs, Clifford and Clementine. She is a supporter of the local arts and culinary scene and is also a part-time Pilates instructor. 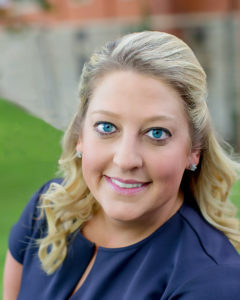 Sarah E. Rieger is Director of Guest Services for Genesis Healthcare, Kentucky Division. After receiving a B.A. 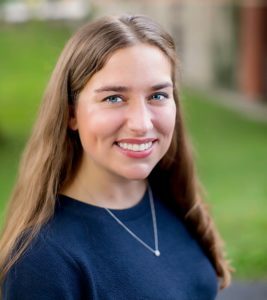 in Organizational Communication from Miami University, Sarah moved to Chicago and worked in sales before finding her true passion of working with older adults. Sarah was a new member of the Junior League of Chicago and transferred to Cincinnati in 2010. Sarah is a graduate of C-Change Class 8. She was also a participant in the inaugural class of The Shift, a social innovation challenge with the United Way of Greater Cincinnati. After completing The Shift, along with her co-founder, Sarah launched Community Grandparents in Lower Price Hill. Community Grandparents fosters trusting relationships between low income parents and older adults to build support networks and create self-sufficiency. Sarah has also been an active volunteer for the Alzheimer’s Association, Girls on the Run, working with women in transitional housing and the foster care system in Butler County. During her time with the Cincinnati League, Sarah has chaired both Membership Outreach & Events and New Members, along with working on the strategic plan, program development, Kids in the Kitchen and CinSation. She received the JLC’s Excellence in Training Award in 2016. Jacklyn is an Associate at the law firm Manley Burke LPA where her practice focuses on issues specific to nonprofit and tax exempt organizations. She received her B.A. in political science from Miami University and her J.D. from the University of Dayton School of Law. Since joining the Junior League of Cincinnati in 2009, Jacklyn has served on the Board of Directors (Legal Advisor), Nominating Committee, Columbia Center Committee, and spring fundraiser committee as well as Chair and Vice-Chair of the Cookbook and Fall Fundraiser (5K & Tour of Kitchens) Committees and Vice-Chair of the Finance Committee. Jacklyn is the proud recipient of the 2015 Jeanne Boyce Morrison President’s Award. In addition to her involvement with the JLC, she serves as a member of the Committee on Leadership for her sorority, Alpha Xi Delta, and on the Board of Directors of GRAD Cincinnati. Jacklyn and her husband, Brad, reside in Mt. Lookout with their two sons Jefferson and Michael. Paaras Parker is the HR Leader for Kroger Digital. She earned her Bachelor’s degree from Miami University and has built an extensive and diverse career in business and human resources. 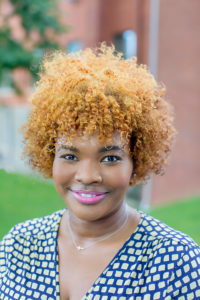 She was a member of C-Change, Class 6, named one of Cincinnati’s Forty Under 40 by the Business Courier, a YMCA Adult Achiever and YWCA Rising Star. Paaras recently created a program in partnership with the Cincinnati USA Regional Chamber – Power Squad – that focuses on the leadership development and progression of Women of Color in the workplace. She loves volunteering in the community, currently serving on the Cincinnati Zoo and Botanical Garden’s Ambassador Council, The Greater Cincinnati Foundation’s Marketing committee, The YWCA’s HR committee, The Karen Wellington Foundation and co – chairing the Cincinnati USA Regional Chambers Leadership Advisory Council. 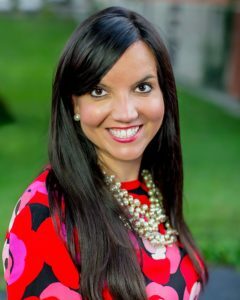 Paaras has been a member of the Junior League since 2012, and previously held positions as the chair of leadership development, member of the nominating committee and served as Vice Chair and President of the Cincinnati Zoo and Botanical’s Ambassador council during an out of league placement. Paaras lives in Montgomery with her husband, Sean, daughter, Layla, and son, Elijah. employee resource group for Nielsen’s central region. Jamie received her B.S. in Business from Indiana University’s Kelley School of Business, graduating with honors. Outside of the office, Jamie is passionate about volunteering. 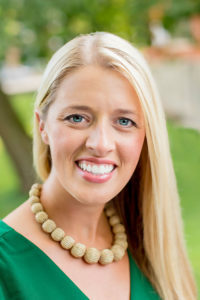 She joined the Junior League of Cincinnati in 2012. She’s co-chaired their spring fundraiser and served as an active member on many committees including Cando and Membership Recruitment. She is currently the co-chair of the Nominating committee and a member of the Executive Management Team. Jamie is also active with the United Way of Greater Cincinnati and she sits on the board of the Crohn’s and Colitis Foundation SW Ohio/Kentucky Chapter. She is a resident of Over-the-Rhine and loves all things downtown Cincinnati. Molly Flanagan is a senior manager for the Global Legal/Government Relations division with The Procter & Gamble Company. She is chief-of-staff to the Chief Legal Officer who heads a global division of more than 500 employees. In addition, Molly manages P&G’s Good Government Fund (Political Action Committee) and serves as the primary government-relations liaison for P&G’s 25 manufacturing facilities in 21 U.S. states. Before joining P&G in 2013, Molly began her working career at the White House, which included coordinating over 400 domestic events for the President. In 2009, she joined the Republican Governors Association, serving as staff director and liaison to 24 Governors and 36 gubernatorial candidates. In 2011, she became deputy campaign director for the Pawlenty presidential campaign, and in 2012 was spokesperson and government-affairs representative at the Cincinnati/Northern Kentucky International Airport. Molly joined JLC in 2012, serving as chair of Marketing and Publicity and New Member Advisor. She received JLC’s Rising Star Leadership Award in 2015. She was a member of the Chamber’s C-Change Class VIII and also served as president of its Alumni Program. In 2016, she received the YWCA Rising Star Leadership Award. In addition, she was a member of the Dan Beard Council Professional Leadership Network and the 4-C for Children’s Ambassador’s Board. Molly is a sixth-generation Cincinnatian and holds a B.A. degree in political science from Kenyon College, Gambier, Ohio. Saralou joined the JLC in 1981 and served as President of the League in 1987-1988. She is a three-time appointed Sustainer Advisor to the Board of Directors. Over her nearly forty years as a member of the JLC, she has served the League in various capacities, most recently as an elected Sustainer representative to the Nominating COmmittee. A proud University of Cincinnati Bearcat, Saralou has served her alma mater on the Board of Trustees and as President of both the UC Alumni Association Board of Governors and the College of Education Alumni Association. In addition to her volunteer commitments to the JLC and UC, Saralou has served on the Boards of the Easter Seal Society, the Family Education Center, and Playhouse in the Park. Formerly a Cincinnati Realtor for nearly 30 years, Saralou is currently a member of the Columbia Center Ad Hoc Committee. Dionn has served in leadership roles in several Junior Leagues, including JLC, Junior League of South Bend, Junior League of Montclair-Newark and Junior League of Hartford. Positions include marketing, advisory future planning, training, provisionals, three cookbooks and various projects, including Kids Helping Kids, Women and Alcohol and Adopt A Class in Cincinnati. She has served on community boards including United Way, Big Brothers and Big Sisters, Theaterworks, the Homeless Coalition, Summerfair and ZooArt. 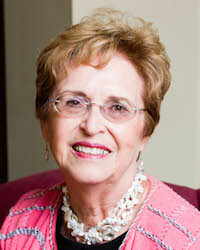 She currently serves on the Foundation Board for AOII and as an advisor to AOII at Miami University. Her passion lies in women’s and children’s issues, primarily education and mentoring women.